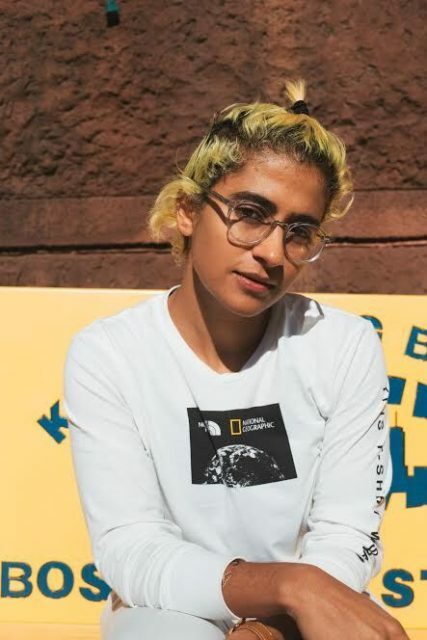 Kiran Gandhi, who uses the stage name Madame Gandhi, is a musician, producer, artist, and activist. 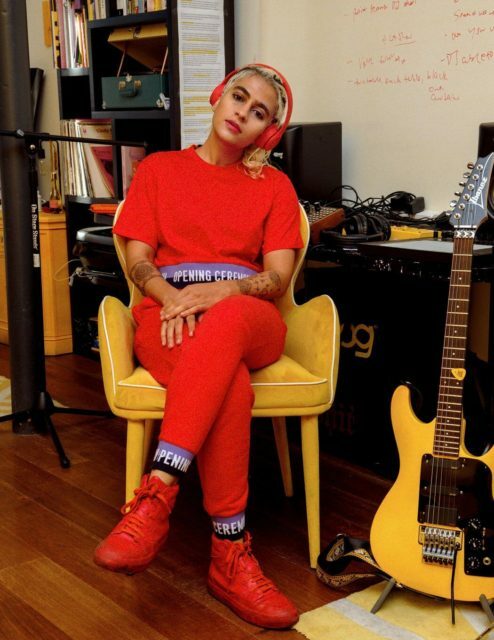 She has performed as a drummer alongside M.I.A., Kehlani, and Thievery Corporation, and went viral in 2015 when she ran the London Marathon bleeding freely on her period. Ahead of the release of her upcoming EP and her Montreal show dates, Gandhi sat down and answered some questions with The McGill Daily. Here, she shares some of her experiences in empathy, music, activism, and her thoughts on our collective future. My younger self would probably tell me that I’m great and that I’m doing really well, and remind me to stay playful. The McGill Daily (MD): What does the phrase “the future is female” mean to you in terms of how we, as a collective society, need to shift? 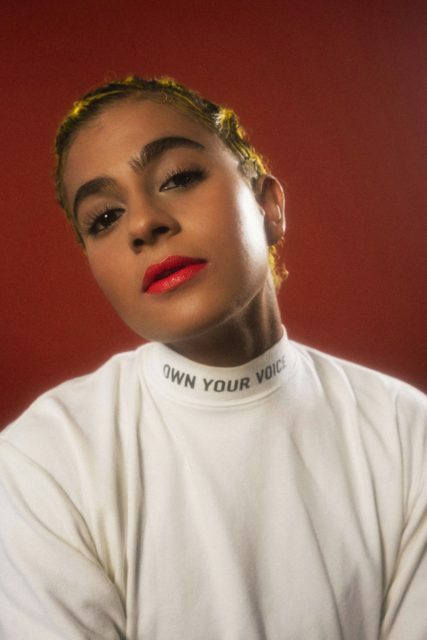 Madame Gandhi (MG): I’ve always loved the phrase “the future is female.” When I started to see it coming back in 2015, it was after I ran the London Marathon bleeding freely, and it was the first time I had seen a unifying feminist slogan that was aspirational and about building a brighter future using femininity. It also highlighted what womxn, femmes, and queer folks bring to the table as something that is desirable. For me, “the future is female” is about valuing the femininity in all of us, regardless of our gender identity, and it’s about valuing things like being emotionally intelligent over brute force, or being collaborative instead of competitive, or living in a world that is “linked, not ranked,” as Gloria Steinem so eloquently puts it. For me, “the future is female” is about valuing femininity as an archetype of leadership that we can all aspire to, especially when archetypes of masculine, cis, white leadership are failing us. When we say the future is female, many folks fear that it might exclude trans folks. For me, it’s important for each generation to repurpose a phrase to really meet the needs of the time. The trans femme community, as well as the trans community at large, have long been leaders in defying gender norms and breaking down barriers that limit us when it comes to gender identity. And so for me, I find a lot of the liberation I personally seek is what is currently being achieved by the trans community. “The future is female” is about saying “how do we build a world that is more inclusive? How do we build a world that is more peace-oriented? How do we build a world that doesn’t assume we need to create a hierarchy to oppress one another, or that for one person to win, someone else has to lose?” So that’s what “the future is female” means to me, and in my work, I focus on being intersectional and very intentionally trans-inclusive. I feel like the “ally” would be so lucky to be able to hang out with a bunch of folks of colour, or a bunch of queer folks, or a bunch of trans folks, and push their own comfort level to be exposed to something new. MD: There is currently progress being made to recognize the need for more diversity and inclusion across the board, ranging from tokenistic actions to genuine change. In the last five years, what shifts have you noticed for women in the music industry and in technology? What do you think still needs to happen? MG: I think for me it’s really about saying that, as people of colour, womxn, queer folks, and trans folks, we shouldn’t be begging to be in masculine, white, elite, heteronormative spaces. Folks in those positions need to recognize that they would be so lucky to have people bringing different backgrounds to the table. That it’s not about them doing us a favour, and it’s not about them “opening doors” for a certain percentage or quota, it’s about realizing that having people of different backgrounds and opinions only makes the experience better for all people. It makes the quality of a business, or a university or an education much stronger. To that end, I’m also really interested in folks of colour, queer folks, folks in minority immigrant comunities, and communites with varying abilities being able to stand up and to take leadership on our own. To actually do that, we have to build companies that design for our bodies, that design for our needs, that design for our safety. We have to start those organizations and raise that money. We have to build the new paradigm and design the structures, instead of breaking into structures that were never designed to include us to begin with. And I think a two-pronged approach to this is important: the mainstream has to recognize the value of having different folks, and we have to participate where we feel safe, but we also have to go and innovate our own companies, own communities, and own spaces. “The future is female” is about saying how do we build a world that is more inclusive? How do we build a world that is more peace-oriented? How do we build a world that doesn’t assume we need to create a hierarchy to oppress one another, or that for one person to win, someone else has to lose. MD: Empowerment can mean a lot of different things to different people – for you, what does empowerment mean, and in that same vein, what does allyship mean to you? MG: I think allyship sometimes has a problematic connotation, whereby the ally thinks they’re doing the folks in the minority group a favour. I feel like the “ally” would be so lucky to be able to hang out with a bunch of folks of colour, or a bunch of queer folks, or a bunch of trans folks, and push their own comfort level to be exposed to something new. That said, of course, given the times we live in, various minority groups are constantly exposed to different trauma and oppression that the mainstream does not cover. A male ally in a feminist cause, to me, is someone that has deep empathy, doesn’t ask questions about your trauma, and has already done the emotional work to really try to understand. That way, you don’t feel like they’re doing you a favour, or that they pity you, or that they are looking for a pat on the back. To me that’s an ally – somebody who has rich empathy and somebody who would never question your trauma or try to gaslight you and convince you that it doesn’t exist. Madame Gandhi went viral in 2015 when she ran the London Marathon bleeding freely on her period. MD: As an activist, what was your experience working and studying at academic institutions, and how did that influence your current work? 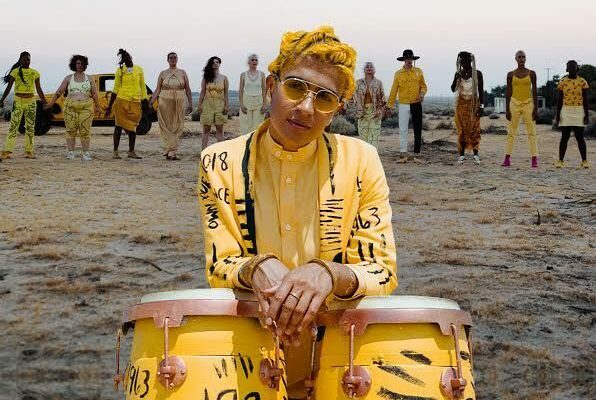 MG: Honestly, my times at Georgetown and Harvard were the only times in my life that I ever experienced the kind of oppression that I talk about in my music. It’s really interesting, university is supposed to be this time where I am supposed to feel like a prestigious student who has been accepted because of my accolades. I’m supposed to feel like I belong. I’m supposed to feel like I’m reaching the fullest of my potential, and yet, that was the only place where I truly felt quieted and excluded. I felt undesirable, I felt stupid, and I felt undeserving, as if I wasn’t meant to be there. I really did feel many of these things at both Georgetown and Harvard, and I think that because I have a lot of empathy, and it’s very easy to put myself in the shoes of others, when I went through that type of oppression, I started to have understanding for folks in different minority groups in a way that I really didn’t when I was growing up in the heart of NYC with access to a lot of different privileged positions. When my Marathon story went viral, and when I started to produce and perform my own music, the central theme of my work, which is the same to this day, was “own your voice; don’t be afraid.” The reason that “own your voice; don’t be afraid” and “the future is female” are personal goals is because when I was at university, I was not able to own my voice. I was not able to speak up when something didn’t sit right with me or when I felt like someone was being rude or mean to me. I didn’t feel like I had the bravery that I wished for, and I didn’t have the courage or the focus in the moment to be able to say what I wanted to say. And that’s why my work is really focused on those themes at large, because many of us who have experienced trauma or oppression can relate, regardless of what that trauma is. For me, “the future is female” is about valuing femininity as an archetype of leadership that we can all aspire to, especially when archetypes of masculine, cis, white leadership are failing us. MD: Is there any advice that you might give a younger version of yourself? MS: I would do the opposite, I would have the younger version of myself give me some advice right now – and she would probably tell me that I’m great and that I’m doing really well, and remind me to stay playful. 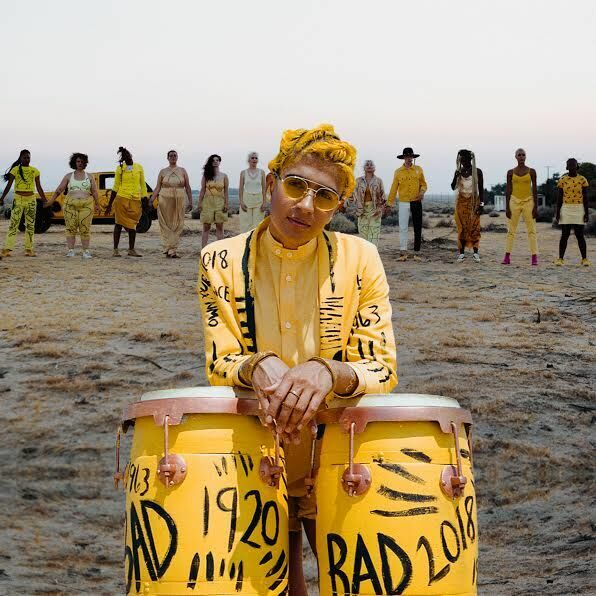 You can find information about Madame Gandhi’s music and her upcoming shows on https://www.madamegandhi.com.